Addiction is a chronic disease that affects people of all ages. Addicts use alcohol to create the “good” feelings inside them, what we call as high. The drug or substance they take stimulates the brain by inducing this high. However, certain things can alleviate the trigger or cravings and help these addicts heal. The below is a list of actions in detail that can assist you in breaking away from your addiction. It may not come as a surprise to you that talking to others can cure a lot of things, not just addiction. Talking openly can help people with other mental disorders like depression, anxiety and sadness. Talk may cost you nothing and yet be one of the effective ways to cure addiction symptoms. 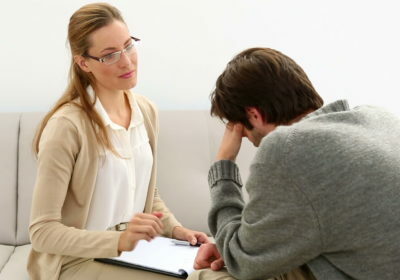 When you are craving for the substance you are addicted to, talking about it right away with friends, family members or an assigned counselor from crack withdrawal center can ride out of the cravings. Talking means expressing what you are experiencing when you are high or sober, how it makes you feel and what you think you should be doing instead. Talking needs to be both ways; the person you are talking to should understand what you are saying and learn that these symptoms are normal. The urge to drink or use drug is a physiological response in the brain. It should go away when there is a distraction that you can’t focus on the addiction. So, when you have cravings, distract yourself in order to ride them out. If you can train the brain to do this, you won’t be thinking much about the thing that is causing havoc in your life. There are many ways to distract yourself although these ways differ from one addict to another depending on his or her addiction level and situation. Some of these ways include, but not limited, to exercising, meditation, working out, playing games, going for a walk, spending time on a hobby, listening to music, watching movies and engaging in conversation with friends and family. You need to find out what activity works best for you. The trigger may happen throughout the day and even beyond your daily activity limit, so make a long list of things that can be used as distraction. This step is very similar to distraction from your addiction habits but differ in a few other ways in the sense, here you are visualizing the distraction and resisting the cravings along the way. When there is anxiety or stress present constantly in your mind, for example, you can visualize yourself calming down or escaping from the situation altogether. To achieve this state of mind, you need to close your eyes and imagine the scenario in greater detail while using all of your five senses simultaneously. You might visualize a pleasant environment, a quite and serene place or something that makes you happy, like a white sand beach with sunshine falling directly on you. Using all your senses will make the various areas of your brain engage in this relaxation technique. So, whenever a craving pops up, take your mind to this beautiful place. Remember that, you are not limited to just one scenario. The key is to practice visualization even before the cravings happen. « Eye Specialists – How To Avail Services From Best One?